Despite the recent snowfall, it is that time of year again when I start to notice a significant increase in vans and trucks for painters in Asheville NC on the roads. It is a sure sign that the weather is warming up and the spring and summer are actually coming! If your anything like me- you spend the majority of the winter inside staying warm and working on the inside of your living area. But I’m sure we are all ready to get outside and enjoy the sunshine. 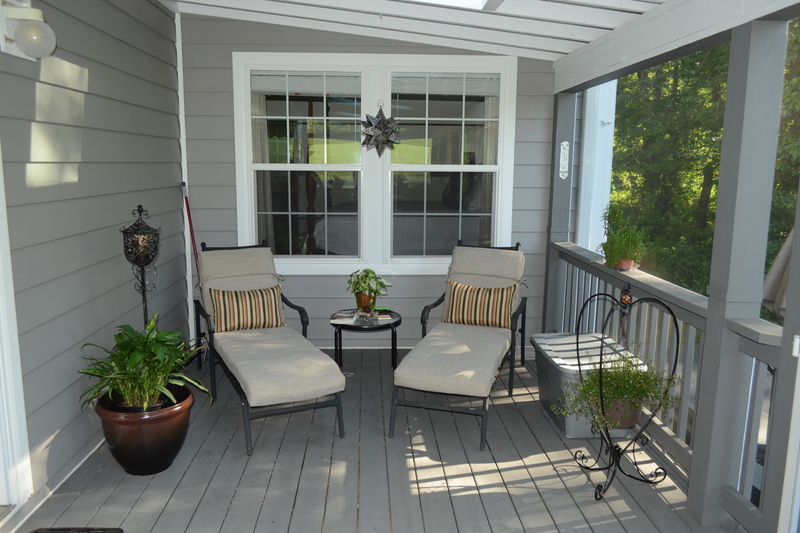 This is also the time of year when we start thinking about the maintenance of our outdoor living areas to get them ready for summer. Pressure washing and painting the outside of houses are two of the most common things we get calls for, but you would be surprised by the transformation a deck staining or change of color on a deck can have on a home. 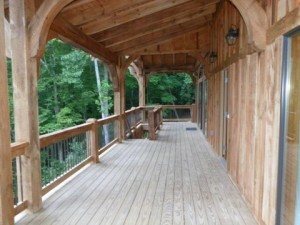 Staining is a relatively inexpensive project that can truly change the way your home looks and feels. With many choices of stain from solid colors to semi-transparent, the sky is the limit with choices. 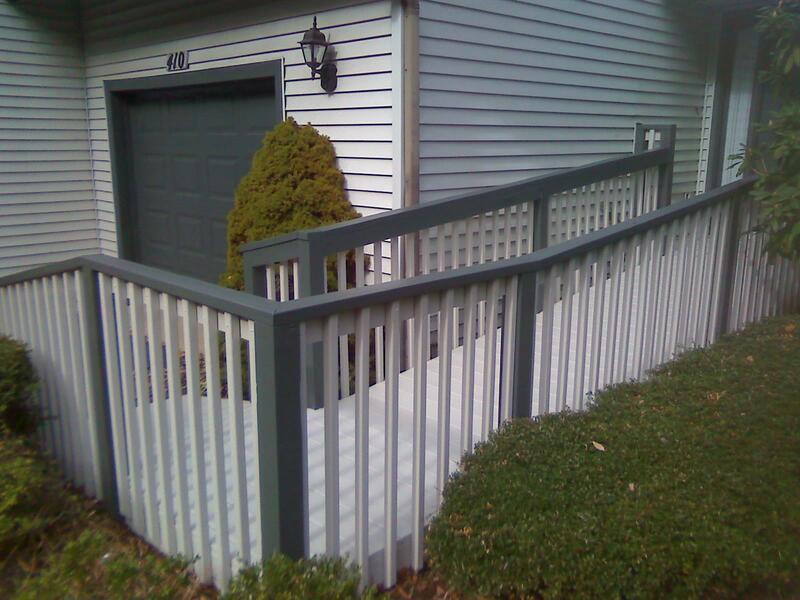 The most common stains we use are Sherwin-Williams DeckScapes, Zar and Sikkens. All of these come in solid or semi-transparent and will last about 3-5 years on a deck depending on exposure to the elements. 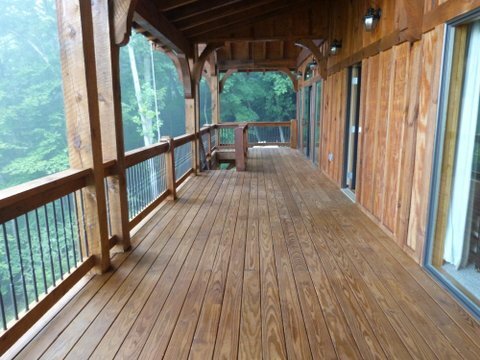 On most decks the staining process takes about 3-5 days starting with pressure washing, drying, prep and finishing with applying the stain. Once the stain has been applied it is recommended to let the surfaces dry and cure for 24-48 hours before walking or putting furniture back onto it. One additional offer we give that not all painters in Asheville NC give is a 1 Year Warranty on the deck floor and a 3 Year Warranty on rails and pickets! (some restrictions apply) CALL us today for your FREE estimate 828-279-4801! This is one example of a ramp we did for a customer in a local community. 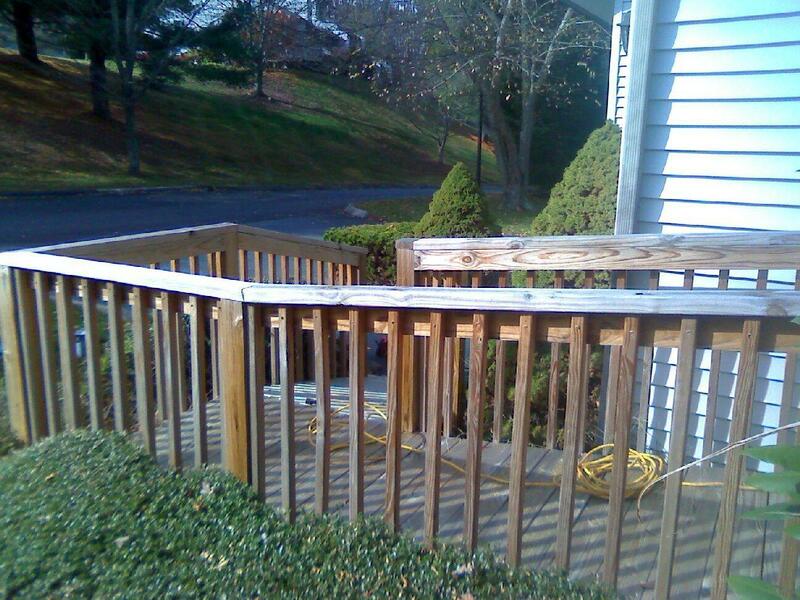 This was a new ramp that she decided to stain solid to match her home’s color scheme. Before staining it stood out and looked like it didn’t quite belong. Now it looks like it has been there the entire life of the house! 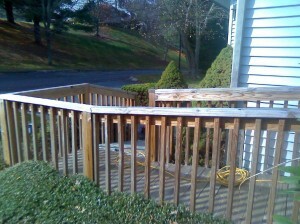 This customer wanted to retain the natural appearance of the wood on her 2nd story deck. She chose to re-stain it with a semi-transparent that really allows the natural beauty of the wood to stand out.